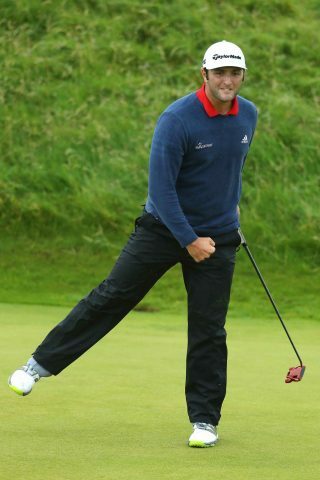 Spanish sensation Jon Rahm has been awarded the European Tour’s Sir Henry Cotton Rookie of the Year Award after a remarkable breakthrough season that included a record-breaking victory at the Irish Open in July. 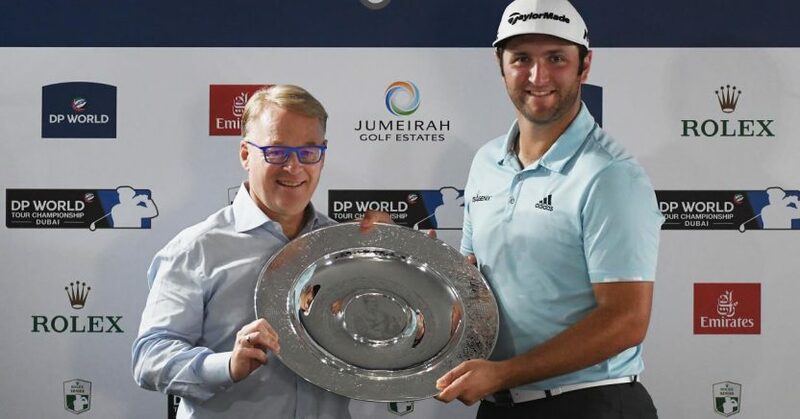 The current world No.5 – who lies fourth in the Race to Dubai – received the award from European Tour Chief Executive Keith Pelley ahead of this week’s season-ending DP World Tour Championship in Dubai, where the Spaniard will be looking for a strong finish to an already impressive campaign. Rahm sealed the accolade in South Africa after none of his closest competitors – South Africa’s Dylan Frittelli, Englishman Jordan Smith, Hideto Tanihara of Japan and New Zealand’s Ryan Fox – could finish strongly enough in the Nedbank Golf Challenge to give themselves a chance of overhauling Rahm in the Race to Dubai standings in the final week of the season. It has been a meteoric rise to the top of the world game for the 23 year old, who turned professional in June last year after a glittering amateur career where he represented Arizona State University, winning 11 titles and reaching world amateur No.1 along the way. His transition to the paid ranks was a seamless one and he earned his maiden professional title at the PGA Tour’s Farmers Insurance Open in January, holing a 60-foot eagle putt on the final hole to clinch the title. Rahm then joined the European Tour and almost immediately emulated three of his Spanish golfing heroes – Seve Ballesteros, José María Olazábal and Sergio Garcia – with a stunning win in the Dubai Duty Free Irish Open, storming to a breathtaking six-stroke victory at Portstewart Golf Club with his 24-under-par total being the lowest in the tournament’s history.